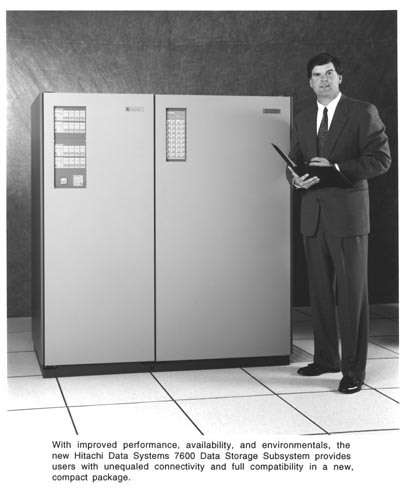 B&W image of Hitachi 7600 Data Storage Subsystem. A man is standing on the fight with a manual in his hands. Recto label bottom margin: " With improved performance, availability, and enviromentals, the new Hitachi Data Systems 7600 Data Storage Subsystem provides users with unequaled connectivity and full compatibility in a new compact package."